I have recently jumped back into Titanfall, and have been playing that quite a bit. Not really sure why, probably just because of the achievements kept from my grasp. But it’s been a lot of fun. I’ve been playing mostly solo, with Illestrader joining me on occasion. 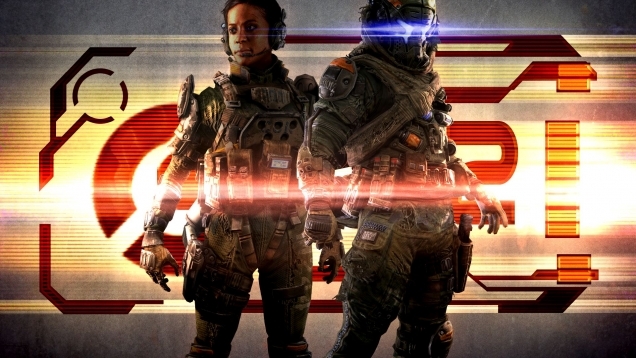 As the game was recently featured in the EA Access vault as a free game, it feels like there’s been an influx of new players, which is always nice, as well as the the developer, Respawn, releasing all their map pack DLCs for free, when the game reached its one year mark. You can check out my review here – iReview Titanfall. There are some tough achievements in Titanfall, and now that there is 3 DLC maps packs, there are numerous achievements to chase, worth a 2000Gamerscore amount. 88 Achievements. A lot of the achievements are grinding achievements, winning 50 matches in each type of game mode, and reaching Gen10, etc. And throughout the first year of the game, they’ve introduced more game modes, challenges, and Ranked Play. To continually add to the replayability. To get this achievement, you need to level up your Pilot enough to reach the cap level of 50. This alone will net you an achievement. You then need to choose to regenerate as 2nd generation Pilot. A lot like prestig’ing in Call of Duty, this will reset your level to 1, along with resetting all of your unlocks, and challenges. Essentially starting all over again from scratch, only there’s a nice little 2 Emblem beside your name. As the achievement of the week feature is not necessarily new games, but my own personal achievements, I’m going to start including a list of the other achievements I unlocked this past week. As my gameplay time differs each week, and achievements vary, this list will always differ in size. I think I might add the category to the top of the page as well, or maybe add a category linkroll on the side. We’ll see how this feature plays out. Might be too much to record each week. This entry was posted in AOTW and tagged Achievement, BADLAND, Games, Gaming, Halo, Massive Chalice, ODST, Titanfall, Video Games. Bookmark the permalink.